There is another update by Google. 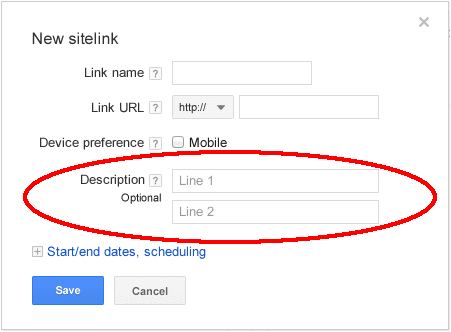 Now it announced on the Google Adwrods blog that now everyone can now “nominate particular text for your site-ink description” within your Google adwords ads. If you want to do that then you require to have upgraded to the enhanced campaigns. How you can do that it’s just simple? Where you go for control your ads description? It is look like this is inserted handle that is welcomed by Google Adwords advertisers.